For 18 year old Avery Williams, life hasn't been an easy ride. With her mom on life support, being poor which means she can't afford her mom's surgery, she has to raise her 6 year old sister Lilly by herself in their small apartment, and her dad abandoned them before Lilly was even born. 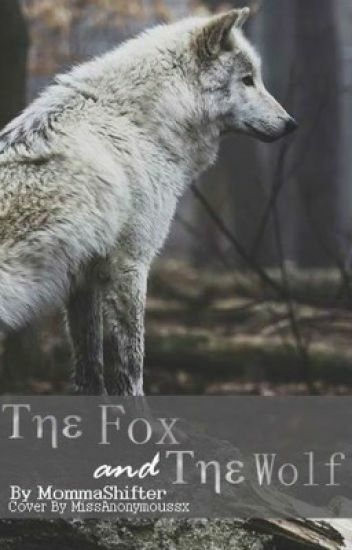 But one stormy night while Avery was driving home in their old ford pickup truck, her and Lilly come across an injured fox lying in the middle of the road. She decides to pull of and help the poor fox. But after she helps it, it starts to talk. The next thing Avery knows, is that the fox is glowing and the little glow goes inside her body. With her new secret, she can shift into a fox. But the fox named, Red, told her she can't tell anyone. So now it's Avery's and Lilly's little secret. Jake Taylor is the alpha of the Southern Nightshade Pack. He's used to getting what he wants. When he comes across Avery and Lilly walking in a park, he finds out that she is his mate. And he wants her. Bad. So he does the only thing he can think of. Have him and his friends kidnap her. But will he put up with her trying to escape? Will he find out her little secret? Read the book and find out. In a world where the once peaceful coexistence of all supernaturals was destroyed. The strongest and the most powerful of all were ripped into two sides. The Werewolves who chose to follow God will and be the protectors of the humans. While the Witches choose to ignore God will by wanting to rule over the humans. Belonging to earth they all had free will, unlike the angels. When one angel falls in love with one of the few remaining good witches he falls from grace and a child is born. As the first hybrid of her kind in history, she was the most powerful being on earth. She possessed powers that have never been seen before. Able to manipulate the mate bond she becomes an equalizer for all mates but as a war breaks out between the witches and the werewolves, how will she save the world? Not to mention, while gaining the attention of a dark being almost as powerful as God himself and dealing with her own mate rejecting her? Growing up in the wilds of Alaska, Keliea was like any young shifter, well unless you consider having a Goddess with a sick sense of humor normal. Disowned and shunned by most of her pack she is forced to leave the only home she has ever known. Branded a freak and an abomination she is devastated she turns to the Crimson Pack. Finding sanctuary within the walls of the  pack of her best friend she is accepted and loved. Will her family and pack realize their mistake before it's to late? Will they appreciate her as they should have from the beginning? [Book 1] Series of Gods~ Lightning is the last of her kind, a Shifter, but she's something more. She has powers that are unbelievable, her mom and her dad died before they can watch her grow. A hunter killed them, but she doesn't know who killed them. Go with Lightning on a journey to find what she really is. To meet her new family and mate. Mia Kimberly Ashton is not very simple. Whether it be her clothes or the way she acts, she is not girly by any means. Her parents were killed when she was five and now she wonders around and comes into contact with one pack setting her whole world off track. Follow Mia and her dog Tank on a sort of adventure in Mia's world around town...maybe even into a unknown state to a ranch. When Mia meets her mates- which she doesn't want how will she react? When she meets a very special mean horse what will the horse do? Will Mia ever become submissive? Will her peanut butter loving self explode with the amount of peanut butter in her? Find out in Shape-Shifter. April Moon is just a normal teenage girl. Her family lives at a ranch and she has always liked horses. One day her horse gets into an accident. Something strange happens and April becomes something not human. Like their souls mixed together as one. She becomes the horse shifter. Xavier is the alpha of the Silvernight pack. He's looking everywhere for his mate, but what he didn't expect was to find her at a horseranch. Us, me, we, are foxes. We can't help that on our eighteenth birthday our body transforms into that of a fox. We can change into a fox any time we would like but we automatically are changed into foxes during the night time. When we are foxes we still have our human brains, but we also have fox brains, intense sense of smell, hearing and eyesight. And this is my story. We are foxes. Being a fox shifter is one thing, being a black shifter is a whole other thing. Fox shifters are rare as they are. There are only enough to make up one pack. Black fox shifts come 1 in every 10,000 fox shifters. It's completely random, it's not passed down by parents. The moon goddess chooses the fox to represent their pack. Black fox shifters are strong. Fox shifters in general have more enhanced hearing, speed, smell, etc. But black fox shifters have those stronger then normal fox shifters. Minnie is not your normal supernatural being. She is a bear shifter, something the werewolf world has never seen before, and everyone wants her. She has been on the run with her younger brother for the past seven years, but what happens when she meets her mate? Will she stop running and face her problems with her mate by her side, or will she continue the lonely life of running she has been forced to live? Fox Shifters aren't supposed to exist, right? WRONG! April Anderson is the only Fox Shifter known to the world. Except, she's not really known to the world. Any wolf that isn't in her pack thinks she's human. When April's mom does some family history digging, they realize she's very distant cousins to Emerald and River Williams, who saved werewolves from extinction only 7 years ago. Her parents decide to move the pack across the country to be closer to family and get to know their 'famous' relatives. The only thing is, April has to start over at a new school. And at this school, she meets her mate. Who just happens to be the Alpha of the Rising Moon Pack. How long will half of her stay hidden from the world, let alone her soulmate? And what will happen if her secret gets into the wrong hands?